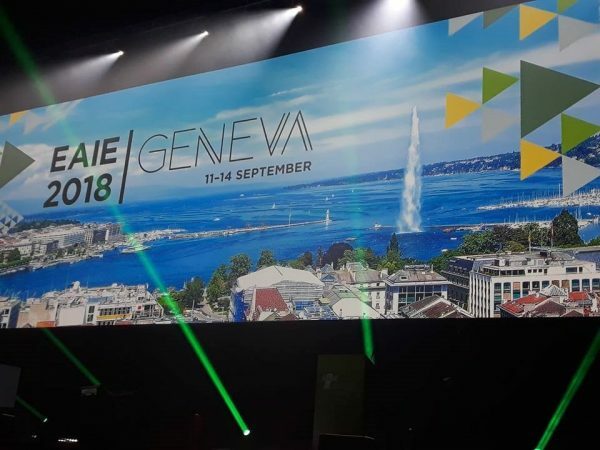 This article aims to reflect some conclusions and observations from annual EAIE Conference that took place during 11-14 September, 2018 in Geneva. 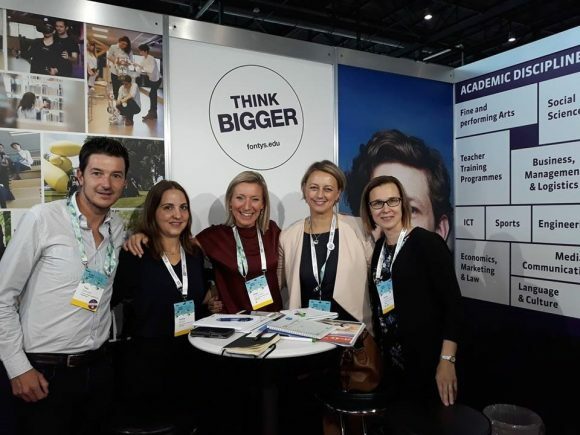 In addition to main discussions on internationalisation issues, this year´s conference was covering wider spectrum of relevant future education subjects, including the discussions on better preparation of university graduates for global world (The EAIE Barometer). EAIE (European Association for International Education) founded in 1989 is acknowledged European center for expertise, networking and resources in the internationalisation of higher education (EAIE, 2018). This year it was already 30th annual EAIE Conference, that gathered 5700 professionals from 95 countries. Considering the complexity of the global situation nowadays this year´s conference highlighted the mission of international education as a tool to “resist backlash to globalisation” (Times Higher Education, 2018). The internationalisation topic remains as a core of the entire event: 175 sessions, 19 workshops, 49 poster sessions, 240 exhibition stands discussions and various meetings reflected current trends, concerns, challenges and ways forward in the implementation of internationalisation mission within HEIs. The future of Erasmus mobility, ethical challenges for institutions in international collaboration, the increasing role of internationalisation efforts by HEs in the shift of global politics in recent years, the resistance towards internationalisation at home institutions and many other relevant issues were discussed among involved professionals and experts in the conference targeting global education implications. It was clearly stated during the conference that the internationalisation and international education helps to resist fragmentation of the world after decades of ever closer collaboration. On the daily basis during one week of various activities representatives of HEIs institutions participated in intensive collaboration discussions aiming at strengthening existing partnerships, to create specific action plans for strategic collaboration and expand strategic networks in face-to-face meetings and various collaboration workshops. Over 5000 participants of HEIs and education related experts seemed to have a shared vision for the need of ever stronger bonds that bind universities together in their global mission. However, Annual EAIE conference is not only a meeting place for the HEIs to establish, strengthen or expand the partnerships. It is an arena where variety of most actual topics in the context of global trends and challenges are discussed. In addition to all relevant internationalisation subjects, significant attention was given to the role of HEIs in preparing it´s students and graduates for the global works and better employability. How should future education look like in order to fill the current gap between the graduate skills and expectations of the labour market. Thus what is the role of future education, how is it going to change, what are the most essential future skills in global and interconnected markets? The change that takes place is no longer a reality of a tomorrow, but the present day. Summarising the findings of various sessions and discussions during the conference on future skills and existing skills´ gap, I noticed that the discussion did not concern the lack or the need to emphasis the development of digital skills that one could expect in the light of recent digital transformations globally. Actually, universities have clearly recognised digital skills as the core of almost any discipline in the future. However, it was clearly stated that the university has a decisive role in development of variety of skills for competitive employability of its graduates. So, what was then the key skill for 21st-century employability? As the survey indicated, among the most important skills expected from graduates appeared to be problem-solving. 96% of employers surveyed confirmed that they expect new employees and recent graduates to be able to recognise problems and create solutions in order to solve the problems. Teamwork and communication skills were marked as second and third most important skills. Interestingly that technical skills and industry related skills were ranked in the survey as eight and twelves most important skills, thus these skills are considered important, but not necessarily as the most important for a good employee. Most interesting conclusions can be drawn from the comparison of the importance of the skills identified in the survey by the employers and the actual skills´ gap of graduates. According to the results presented in the session, it was noticed that employers are most satisfied with the following skills of university graduates: language skills, subject (industry) knowledge and skills, technical skills. However, there is a big gap of necessary skills in the area of creativity, leadership, teamwork and data analysis. Employers were the least satisfied with the problem-solving skills of university graduates and communications skills were defined as week as well. However, the final conclusion of the survey highlights that there are two extremely essential skills that employers require, but there is the greatest skills´ gap of what employers expect from university graduate. These skills are adaptability and resilience. As notified by the employers, it is the most important skill to adapt and be resilient in the contemporary world, where the change is the only constant value. Employers emphasise that there are continuously happening changes in the market, business and company operation´s processes. Therefore the employers are expected to be able to successfully operate in the rapidly changing environment. Resilience is explained as the ability to cope with unexpected changes and challenges. It is ability that helps to overcome and prevent stressful situations. Certain resilience capacity enables people to face difficult situations and find the solution to overcome challenges. Employers expect that university graduates have positive attitudes and are prepared to changing circumstances; they have an ability of emotional intelligence and are able to regulate emotions. Failure should be considered as a form of feedback and responsibility for making decisions instead of expecting the continuous guiding by employers. Skills´ gap survey reveled also that the situation regarding existing gap is different in different countries. In UK employers are the most satisfied with teamwork skills, but least happy about communication skills. In Australia students have good subject knowledge, but extremely weak resilience skills, while in Russia resilience skills seemed to be strongest among all surveyed countries, but the subject knowledge is considered to be poor. The opposite situation is in China, where the subject knowledge is the best among all skills, but creativity and negotiations skills seems to be the weakest point. Thus, the task of the education institutions is to turn their attention to the development of resilience , adaptability and flexibility skills. According to the employers, these skills are needed more nowadays than for instance creativity. Internationalization is seen as the best strategy for HEIs to have an environment that helps students to be prepared for global jobs. With no doubts, Global and intercultural fluency seemed to be crucial skills for the future. These terms were the core of many conference discussions and most important future skills needed in contemporary work life. It was especially emphasized during live interview with Ivor Emmanuel from University of California, Berkley, USA. Regardless current world politics and fragmentation, intercultural skills are as important as ever. Intercultural fluency is one of those skills that is still lacking in education among all: university staff and students. Internationalization has become a strategy line almost in all university strategies and policies, and entire education world is on the right mission in this regard, however it is still a long road ahead to improve and increase intercultural fluency and make it as an integral part of ecosystem of all universities.